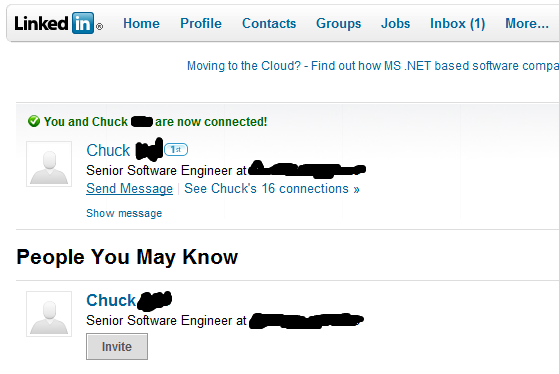 So this morning I got a LinkedIn request from a friend of mine and saw this when I accepted it. The last names are blacked out (to protect the innocent) but trust me when I tell you it was the same person. So I guess I *may* know the person I am now connected with. Nice!